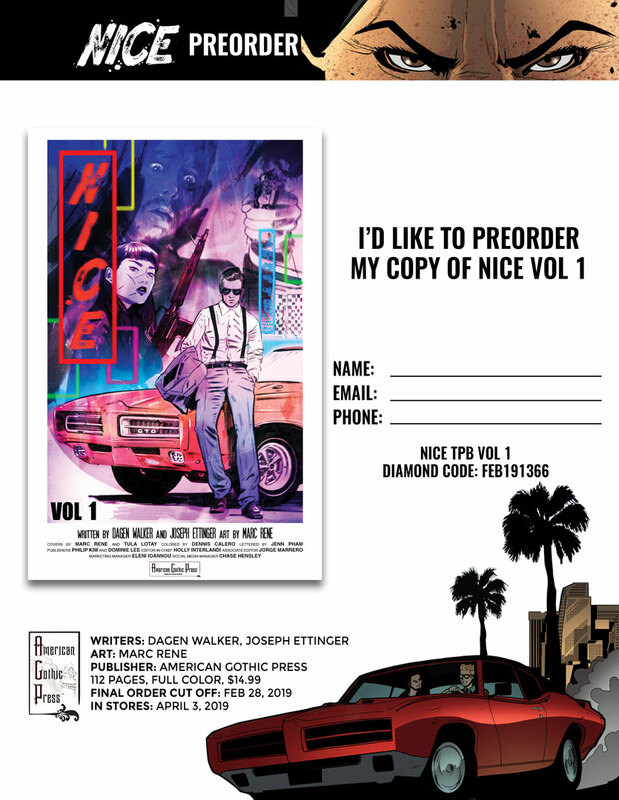 The complete trade paperback collection of NICE is currently featured for preorder in the February issue of Diamond PREVIEWS. If you want all of your hipster assassin goodness in one smartly bound book, this is the release for you! Just grab the preorder form below and take it to your local comic shop before February 28. The trade paperback features cover art by Tula Lotay (ALL-STAR BATMAN, HEAVY METAL) and will include bonus behind the scenes concept art, layout process, and more!